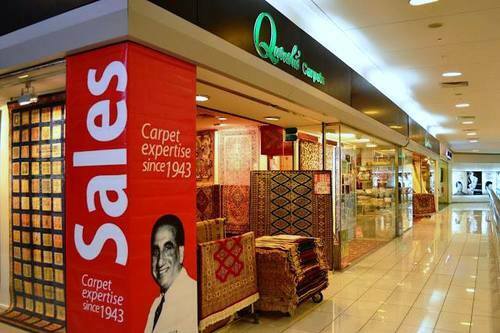 Qureshi’s Carpets has one store in Singapore, located within The Centrepoint shopping centre, at 176 Orchard Road. Established in 1943, Qureshi’s Carpets offers different types of carpets plus a range of additional services. These additional services include professional carpet cleaning (complimentary for all carpets purchased from Qureshi’s), carpet restorations, stain removals, repairs of damaged carpets, trade-ins, as well as carpet deliveries / pick-ups. Qureshi’s also provides a certificate of authenticity for every carpet purchased, which showcases the origin of the carpet, its age and construction, along with a valuation for insurance purposes. The official Facebook page for Qureshi’s Carpets is located at www.facebook.com/QureshisCarpets. Following the Facebook page, you’ll receive updates about new rugs at the store, Qureshi’s promotional offers, and much more.